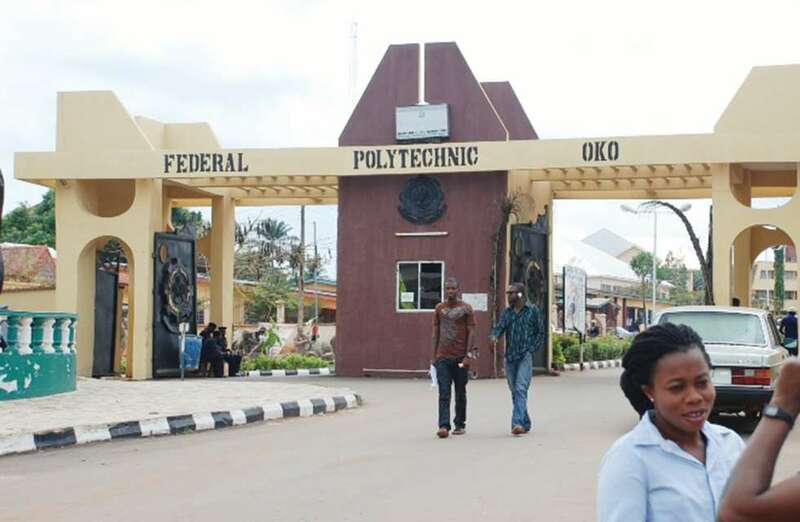 The management of Federal Polytechnic Oko Anambra State has issued a statement through the examination committee prohibiting its female students from wearing trousers and the male students from keeping beard, afro or grown hair during the examination. In what seems to be move to ensure absolute compliance to directives , the School's Anti -cult unit has been mandated to prevent defaulting students from accessing the examination halls. Reacting to the new development, a student from Department of Mass communication who identified himself as Ikenna described the move as "senseless, oppressive and uncalled for". He further described the new management of the polytechnic and in fact some of the lecturers as agents of oppression. In his words "I don't know what the new acting Rector wants to turn the school into. I don't know if they wants to turn this higher institution into a secondary school? About a month ago one of the lecturers slapped the SUG president for just no cause. They even once mandated everyone to wear the school polo or departmental polo to the examination centers especially at Mass com exam center but the SUG gave it a fight"
Reacting to the issue Chidimma, an ND2 female student from Office Technology department advised that the actions of some of the lecturers and even the anti cult should be checkmated. "Here is like a jungle were the lecturers and the anti cult are gods. A lecturers will force you to buy his half baked textbooks at exorbitant prices, some will even slap you and threaten you with carryover if you dare ask for your rights. The anti cult once you get reported to them, pounce on the student without questioning. The government should look into the abuse of power going on here."